As a vegetarian I’ve heard many supposed experts telling people like me that our diet is not sufficient to sustain the kind of activity I’m asking my body to endure. To be frank, that’s just tosh. I’m here to tell you that a vegetarian or even vegan diet is plenty good enough to sustain you through a 5k, a 10k, a half marathon, a marathon and beyond. You heard it here! My proof? Well, let’s take a look at just a few international no-meat athletes! Dave Scott holds the record for most Iron Man World Championship victories ever (2.4 mile swim, a 112 mile bike ride and a 26 mile marathon run) Scott won six of them, all while vegetarian. Carl Lewis wasn’t always a vegetarian although he adopted a vegan diet to prepare for the World Championships in 1991, where he says he ran the best meet of his life. Carl Lewis earned a total of 10 Olympic medals over his career, nine of them gold medals. 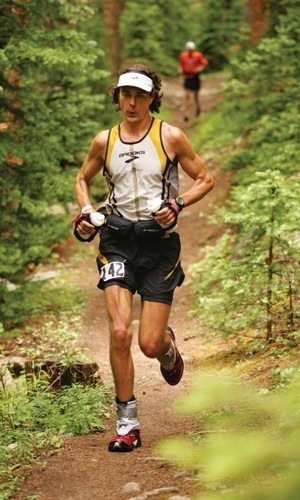 And what about Scott Jurek, ultrarunner? Capable of running for 165 miles at a time, Scott is a vegan who regularly blogs about his diet and how it sustains him through these arduous ultra distance races. All of a sudden diet appears to be inconsequential, don’t you think?